Beautiful white gold bezel set amethyst & diamond pendant. 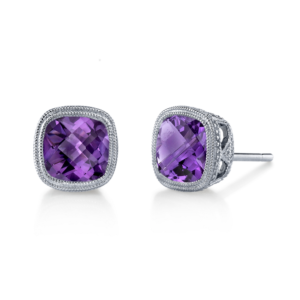 This vibrant amethyst and diamond pendant is the perfect addition to any outfit. The setting is simple yet stunning with a brilliance that is sure to please. Be the first to review “Amethyst Bezel Pendant” Click here to cancel reply.